Keisha Hampton’s basketball career has been a winding road. 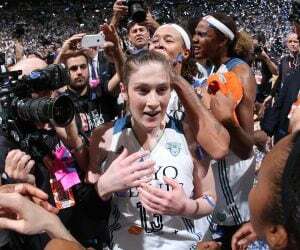 But prior to the 2016 season, she found a home in Minnesota with the Lynx. 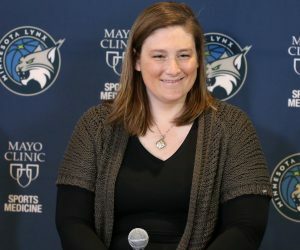 In March 2016, the Lynx were looking to add depth in preparation for after the Olympic Break and throughout the duration of the WNBA Playoffs. That’s when Hampton, a free agent, got her chance. Hampton, a former DePaul Blue Demon, was drafted by the Seattle Storm in the second round of the 2012 WNBA Draft. Dealing with rehabbing from injuries, she bounced around from the WNBA to playing overseas before landing in the WNBA again with Minnesota. In her first WNBA season, the 26-year-old averaged 2.6 points, 0.4 rebounds and 0.4 assists in 6.8 minutes per game off of the bench. Hampton, who served as the primary backup to Maya Moore during 2016, finished the season with a field goal percentage of 33.3 percent. She also shot 33.3 percent from behind the arc and shot 87 percent from the free throw line last season. 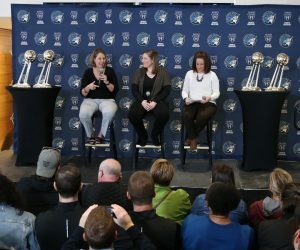 Hampton looks to continue to improve in year two in the WNBA when the Lynx kick off the 2017 season at 6 p.m. May 14 against the Chicago Sky at Xcel Energy Center. 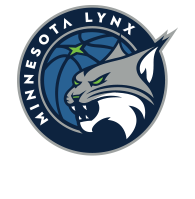 In the 93-56 win over the Dallas Wings at the Target Center, Hampton tallied five points and two rebounds for the Lynx. Hampton shot 2-for-6 from the field and went 1-for-2 from three in 16-plus minutes. In the 87-63 loss to the Washington Mystics at the Verizon Center, Hampton played a season-best 21-plus minutes off the bench for Minnesota. She finished with nine points, one rebound and one assist in the game. Hampton shot 3-for-7 from the field, 1-for-3 from three and went 2-for-2 from the free throw line. In the 82-75 win over the Indiana Fever at Bankers Life Fieldhouse, Hampton finished with a career-high 13 points, along with one rebound and one assist in 19-plus minutes. She shot 4-of-7 from the field, including going 4-for-5 from three and 1-for-2 from the free throw line. Hampton’s offseason performance overseas this winter has been impressive. She is currently playing for Bnot Hertzeliya in Israel. Through seven games this offseason, Hampton is averaging 22.4 points, seven rebounds and 3.3 assists in 34.6 minutes per game. She is also shooting the ball well, holding a 52.5 shooting percentage from the field, including 51.6 percent from behind the arc and 79.5 percent from the free throw line. 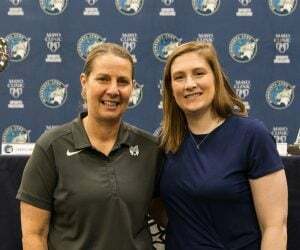 In 2016, Hampton’s primary role was to come off the bench to replace Lynx forward and four-time WNBA All-Star Maya Moore, which was why she averaged 6.8 minutes per game during the season. Expect Hampton – who has shown the ability to shoot the ball well, especially from three – to appear in a similar role during the 2017 season. But if her offseason numbers start to carry over into the WNBA season, she could see her role continuously expanding as the year goes on.